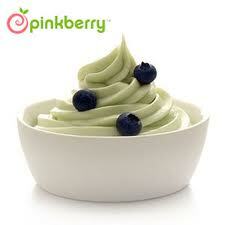 Some say Pinkberry was the original frozen yogurt shop featuring the healthy Korean style tart yogurt. The first retail store was opened in 2005 in California. Pinkberry is still very popular. Customer are very loyal and even going as far as to calling the yogurt “crackberry”. The shops were opened by Korean Americans Shelly Hwang and Young Lee. Pinkberry has over 100 stores internationally. They are expanding rapidly in the middle east – with a store in Dubai, and throughout airports nationwide with the partnership with HMSHost. The original tart frozen yogurt has the following ingredients: nonfat milk, sugar, nonfat milk with live and active cultures, milk powder, fructose, dextrose, natural flavors, citric acid, guar gum, maltodextrin, monoglycerides, diglycerides, starch. Pinkberry tastes great especially for the calorie content but why have so much sugar? 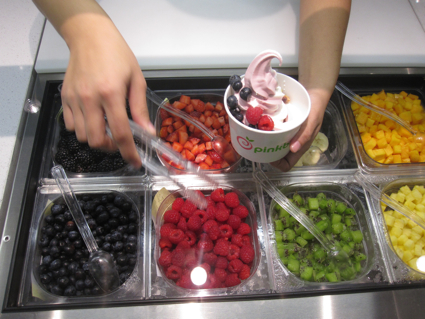 Originally, Pinkberry’s yogurt was classified as frozen yogurt but didn’t actually qualify as frozen yogurt from the National Yogurt Association. Pinkberry then added live and active cultures like s. thermophilius, l. bulgaricus, and l. acidophilus because of pressure from a lawsuit. Flavors: original tart, pomegranate, coconut, passion fruit, chocolate, salted caramel, pumpkin, watermelon, mango, and green tea. Next post: What is Frozen Yogurt Exactly?